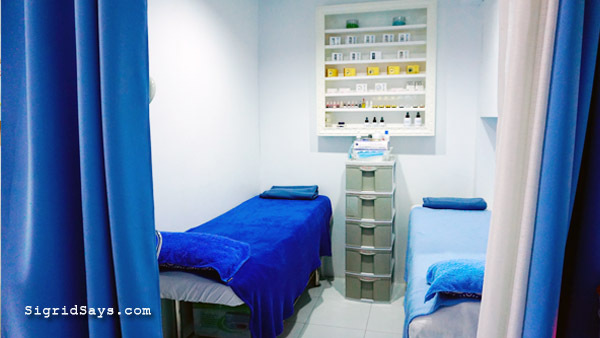 Looking for permanent makeup in Bacolod? Visit Jenelyn’s Embroidery. Most people, if not all, want to look good all the time. But while others painstakingly apply makeup everyday, others do not have the luxury of time nor the creativity to do so. If they can have permanent makeup, why not? 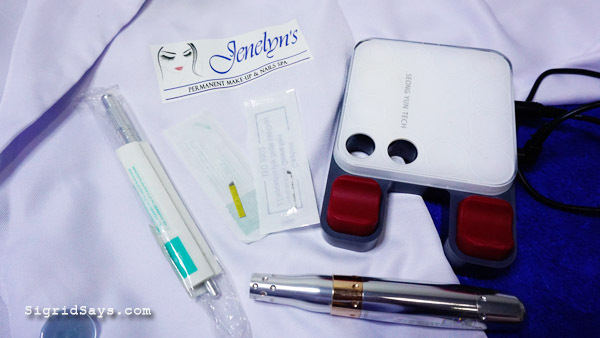 Here in Bacolod, we can have a variety of permanent makeup services at Jenelyn’s Embroidery. Miss Jen at Jenelyn’s Embroidery. She loves the beauty business because it makes her happy. She is very knowledgeable, having been trained abroad. 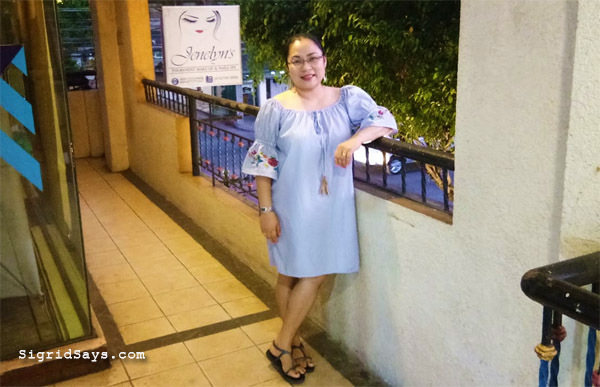 So while we can have DIY make up at home for everyday beauty needs and our trusted Bacolod hair and make up artists for special occasions, we can now have permanent makeup for those times when we just want to look “naturally beautiful” without much effort. Ms. Jen with her nail color samples. 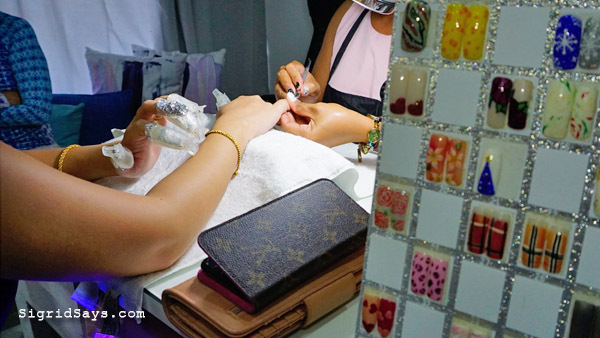 Jenelyn’s Embroidery has some of the most specialized beauty services here in Bacolod City. I had human hair eyelash extensions at Jenelyn’s Embroidery. The result is awesome. Read about my experience. Click the link below. Gel nail polish at Jenelyn’s Embroidery is affordable and they apply it pretty fast. Love it! They have many colors as well as combinations to choose from, including color-changing ones. 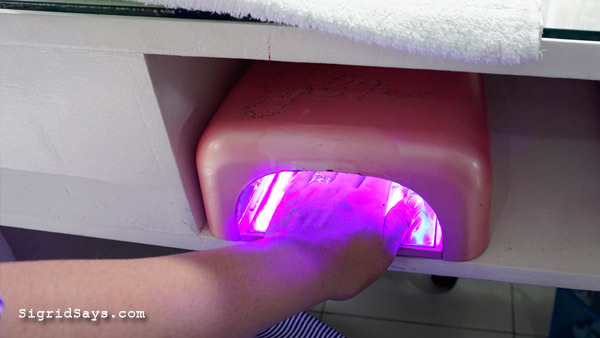 My gel nail polish drying under the UV lamp. Good quality acrylic nail extensions at Jenelyn’s Embroidery. 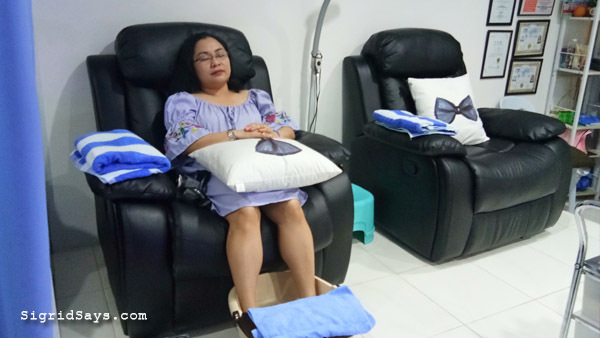 A couple of clients having gel pedicure at Jenelyn’s Embroidery. What is Permanent Makeup For? A lot of us women want to achieve a certain look, such as a certain shape for our eyebrows (kilay is life, dahlings!) , a more defined eyeliner, or naturally full red lips. We achieve all that with makeup. But sometimes, we just don’t have the time for it. The apparatus needed for permanent makeup at Jenelyn’s Embroidery. There are many working moms who have to strike a balance between motherhood, work, and many other things that putting on makeup just hinders them from finishing their tasks. Permanent makeup can do that for you. There are shades to choose from when having makeup tattoos. Eventually, these can lighten with time and with how you care for it (i.e. beauty products used), but it will take a long time for you to have a retouch. I have yet to experience getting a makeup tattoo, but I was told that it wouldn’t hurt at all because of the topical anesthesia. When the anesthesia subsides, it may sting a bit. The important thing is to stay out of the sun during the curing period and if possible, to stay in a cool place. The tattoo should not be washed for at least 12 hours to allow for healing and for the pigment to settle. The treatment room at Jenelyn’s Embroidery. Reservation is needed because Ms. Jen personally handles the tattoo. 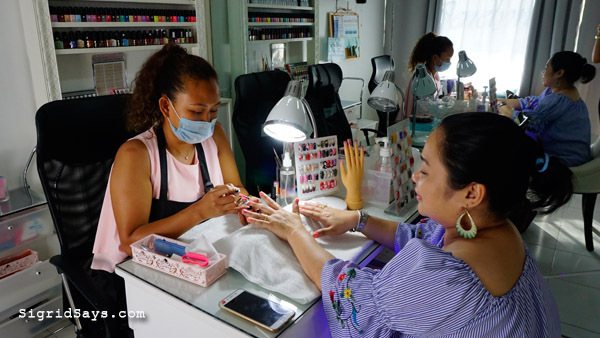 Jenelyn’s Embroidery is a salon that specializes in beauty enhancements like nail tech, eyelash extensions, and permanent makeup. They have personalized service and friendly staff, even the owner also serves from time to time. Prices are reasonable, too. Since the are of Jenelyn’s Embroidery is small, it is best to book an appointment before visiting. You can hold bridal sparties at Jenelyn’s Embroidery with your BFFs right before your wedding in Bacolod. 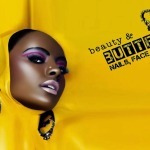 Pamper and beautify yourselves in an intimate beauty session. You can bring your own food and they can provide the venue and beauty services. Visit or call them for arrangements. Have a sparty or enjoy some me-time at Jenelyn’s Embroidery. 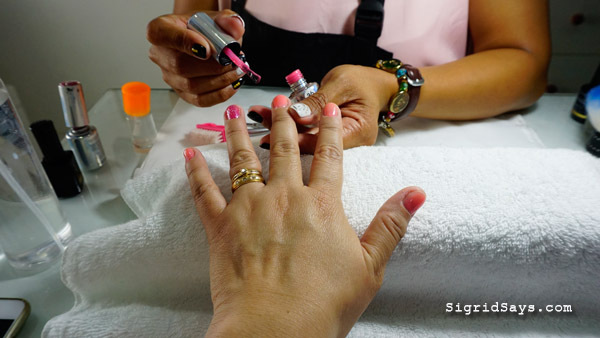 Getting my gel nail polish applied by Ms. Jen at Jenelyn’s Embroidery. Hi. Love your piece on Ms Jen’s. 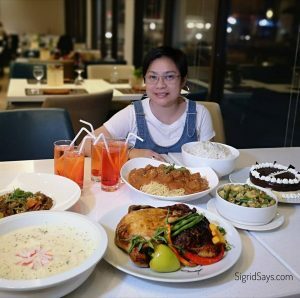 I’ve been a client of Ms Jen since she opened and have found her prices and service unbeatable in Bacolod, and I have compared and tried many. I have had treatment in Manila and Hong Kong and she is far superior than anything I have had before. 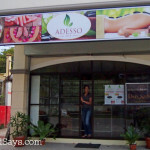 Her spa is a beauty gem in Bacolod. Ofcourse tattoos hurt I have some on my hand. But I love the idea of permanent make-up because it will save a long time for people like us with extremely busy schedules. Same here. I would like to have eyebrow tattoos. I was told though that they will apply anesthetic. It’s the healing I am worried about hehe. This place looks great. I love the idea of microblading as my eyebrows are naturally really sparse. Great post! 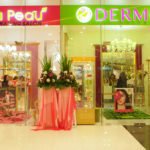 I’ve heard about permanent makeup before, many people have used it successfully. I love how popular it’s become and seems affordable for anyone now. Personally, I’d never want to get permanent makeup. But, I like getting manicures and pedicures. Bacolod has a lot of amazing stuff to offer. And facilities and hospitality of the residents even professionals makes it the best. Their services are worthwhile. I never thought about permanent make-up myself but all the other services like manicure/pedicure and eyelashes are on the top of my list! I’m very scared of permanent makeup. First, because I’m not sure she will hit my taste of makeup, and secondly because I’m the perfectionist and I would see the slightest mistake. Actually, I do have that worry with permanent make up. What’s if the attendant doesn’t shape my eyebrows right? hihi But I do trust Jenelyn’ Embroidery because of the extensive training of the owner. She personally does these procedures. Now that is an all service salon! I change up my look way too much to do permanent makeup, but for someone who has a signature look that sounds like a great idea. Oh my gosh this sounds amazing, I do not know about tattooed makeup, can you get a colour change? I’ve always admired women for their perfect brows and nails, but I like my imperfections. Sure I’m not drop dead gorgeous, but I love the authenticity of going care free without makeup. This service is awesome though for those people who are willing to give it a try. I’d absolutely appreciate permanent makeup since I’m not the type who loves doing makeupevery other time. Well, I don’t know how to do it like a pro that’s why…haha! But you should take advantage of this Bacolod treat for sure. Although I’m considering some eye brow tattoo. Honestly, I afraid doing something like this, though permanent makeup really looks awesome. I think I need to share this to my friends who is a fan of this service, thank you for sharing this with us. Jenelyn’s Embroidery seems like a nice place. This sure is a place for relaxation. Would loved to make this place my new go to when I want to beautify myself with permanent makeup, however, is there already a Manila branch? Best!